Welcome to the most comprehensive football ticket site offering the very best World Cup Tickets to the best World Cup 2022 football matches taking place in Qatar. 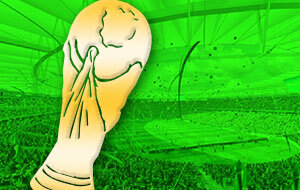 FIFA World Cup 2022 is the biggest football event of the world. The 22nd FIFA World Cup will take place in Qatar in December of the year 2022. As soon as World Cup 2022 qualification games fixtures have been announced, you will be able to purchase your tickets here. The FIFA World Cup 2022 contains 64 sensational matches with the opening match played by host country Qatar and another team. We have World Cup tickets available for all World Cup 2022 qualification matches. You can book your FIFA World Cup 2022 tickets for all World Cup 2022 securely online or Champions League Final tickets through our secure booking system. Tickets for are guaranteed. Browse our website for fixtures and live ticket inventory for all games. With our order guarantee you can buy tickets or other football tickets for other games with confidence so you can see all your favourite players in live action!